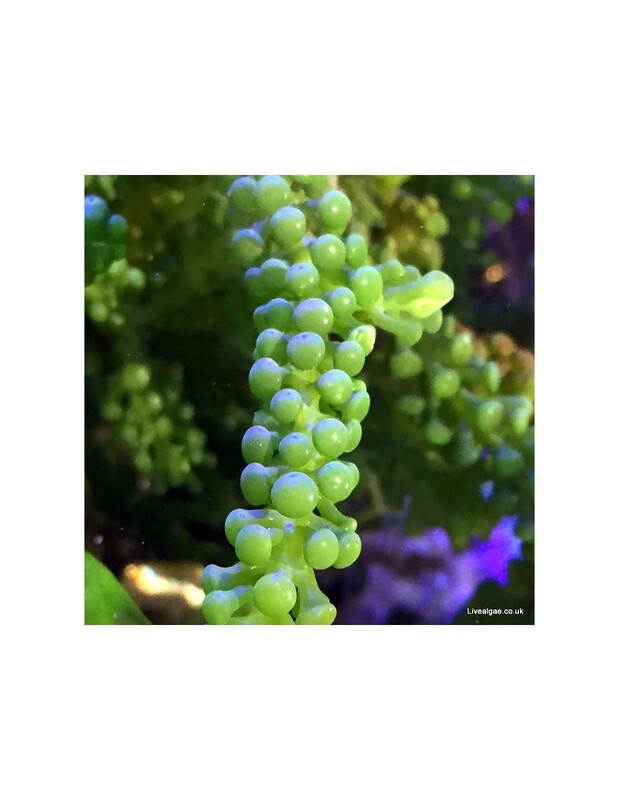 The Caulerpa Racemosa Grape Caulerpa is a very popular and beautiful looking macro algae, which often get seen as the origin of Caulerpa racemosa species. It is fast growing and forms ball shaped appendages, therefore it is commonly called Grape Caulerpa. It is popular for Human Consumption too, but we sell this algae just for the marine tank. These macro algae love the light, as more as you provide as faster it will grow. They are lovely and look beautiful in my tank. I would buy them again! Beautiful as always....packing always spot on...looks lovely in my sea horse tank . Quality algae received and delivered on time. Can\'t ask for more!